WHAT: After defeating Ra’s al Ghul in battle, Oliver Queen (Stephen Amell) leaves behind his vigilante persona and moves to the suburbs with Felicity (Emily Bett Rickards) to live a normal life. 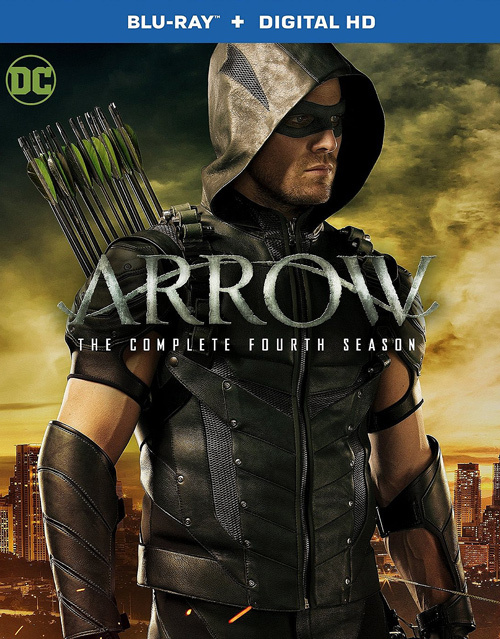 But when Star City is threatened by a terrorist organization called H.I.V.E., Oliver returns as the newly dubbed Green Arrow to stop the group’s leader Damien Darhk (Neal McDonough) – a man with mysterious magical abilities – from destroying what he’s worked so hard to protect. WHY: The fourth season of “Arrow” is a real low point in the show’s history; it’s as clunky and poorly conceived as Diggle’s awful new helmet. Though past seasons have certainly had their share of criticisms, it’s never been quite this bad. The flashbacks are more pointless than ever, persisting with a plot device that’s no longer necessary, while the Oliver/Felicity romance is horribly mishandled. Even Damien Darhk’s involvement doesn’t seem very well-thought-out. Not only is he too powerful for Oliver and his team, but he only appears when it’s convenient for the plot, going through the same motions over and over until his lame defeat in the finale. However, the biggest problem with “Arrow” (and to a lesser degree, “The Flash”) is that there isn’t enough story to warrant 23 hours of television, resulting in a lot of unnecessary filler. That’s never been more true than in Season Four, and with any luck, it’ll lead to the show receiving a much-needed reset, or at the very least, a return to its grittier, humbler roots. EXTRAS: In addition to the 2015 Comic-Con panel, there’s a trio of profiles on Damien Darhk, Vandal Savage and Hawkman and Hawkgirl, deleted scenes and a gag reel.